In the past week I’ve written posts about Newt Gingrich and Mitt Romney. Now it’s time to write about someone who I truly thought I’d never see again. That someone is Ron Paul. In 2008, Ron Paul ran for President. He drummed up a lot of fanatical support among certain young people, who were convinced that he had a good shot a victory. Instead he flopped miserably in the Republican primaries. Then his followers switched to believing that he’d run as an independent. He didn’t do so. Then there was a hair-brained scheme to take over the Republican Convention and get him nominated. That didn’t work either. So by the end of the 2008 campaign, it looked as if Ron Paul’s campaign had been an utter disaster and a complete waste of time and money. While he would surely hold onto his Texas House seat, I and most others expected that we’d see no more of him at the national level. I guess the joke’s on us. Ron Paul is back and surging in the polls. A couple polls have shown him at or near the top of the Republican field in Iowa, with caucuses just twelve days away. National polls show him third in the Republican field. So now it’s time to look at what Ron Paul truly stands for. His platform seems to be made up of two halves. One half is courageous positions where he stands up for truth, fairness, freedom, and limited government in ways that no other candidate would consider doing. The other half is sheer madness, causing one to wonder whether he’s not only insane but violently insane. In the first category are his positions on the Iraq War (the only ‘Pub to vote against it in 2003), torture (completely opposed), indefinite detention without parole (opposed), the War on Drugs (seemingly willing to scale it back significantly), and corporate subsidies (ready to eliminate all of them). These positions are commendable, and we’re not likely to see any serious candidate advancing them any time soon. In the second category are many troubling things. 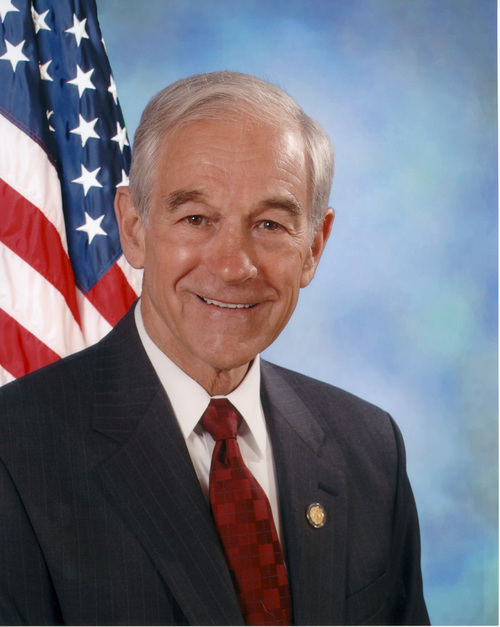 For example, Ron Paul is the only member of Congress to oppose the Civil Rights Act. He has taken other positions that hint at racism, such as being the lone vote against a Medal of Honor for Rosa Parks. This is in line with the notorious series of racist newsletters that he put his name on in the 80’s and 90’s, then defended, then decided that he had no association with. Next comes his paranoid ranting about Mexico, including bogus claims that the US and Mexican governments are seeking to merge the two nations and build a “NAFTA Superhighway” and so forth. All of this is pure baloney, but Paul sticks to it like a leech. Lastly but not least is his economic policies, which center around abolishing the Federal Reserve and recreating the gold standard. While I proudly hate economics, I’m smart enough to know that such a move would be suicidal to our way of life. So that’s Ron Paul in a nutshell: fifty percent brave and truthful, fifty percent off his rocker. A typical supporter will focus on the first half of what the man says while ignoring the second half. But ignoring the second half would be foolish. We cannot ignore malignant, violent insanity just because the person in question has a few positions that we like. So much for Ron Paul.